Classic sunglasses with crystal-clear frames. 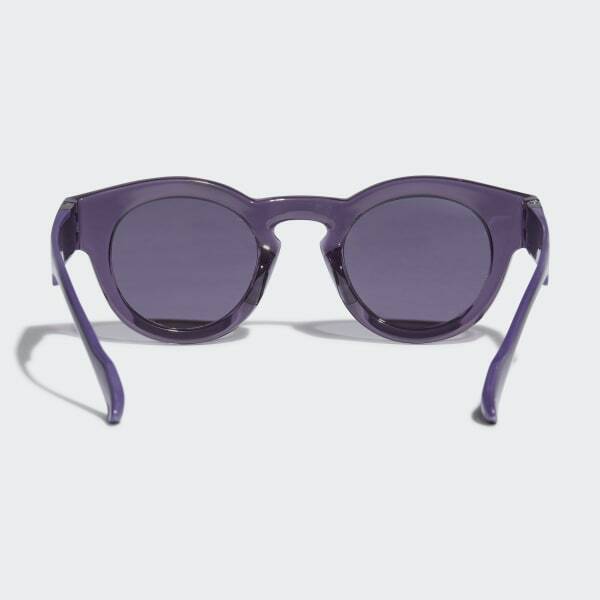 These sunglasses feature transparent temples that leave the core wire exposed, turning a structural element into a unique statement. Adjustable temple tips and interchangeable nose pads help you get the perfect fit. Trefoil logos on the temple and screw cap give these glasses a touch of adidas Originals style.